Information, reflection, questions, opinions and study helps for one or more of the readings appointed for the Sundays and Major Feasts of Year A in the Revised Common Lectionary used by the Episcopal Church. A discussion snippet: art and the meeting of Eliezer and Rebecca. Camels were not to be seen In the painting discussed at the Forum last Sunday. 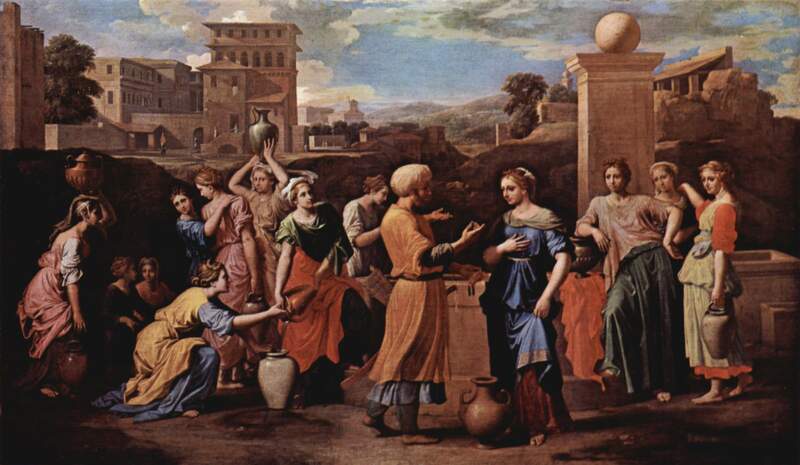 “Those bizarre objects” (camels) had no place in the ordered classical setting of Poussin’s, Eliezer and Rebecca. I thought you might enjoy seeing another artist’s depiction of Rebecca at the well. The artist of the attached painting did not shun camels! I could not find the name of the artist…. Do you know the name of the artist? Let us know. Sarah, the wife of Abraham, was old and childless, so in order for her husband to have an heir she suggested he father a child with their servant, Hagar. A son was born to Hagar and named Ishmael. 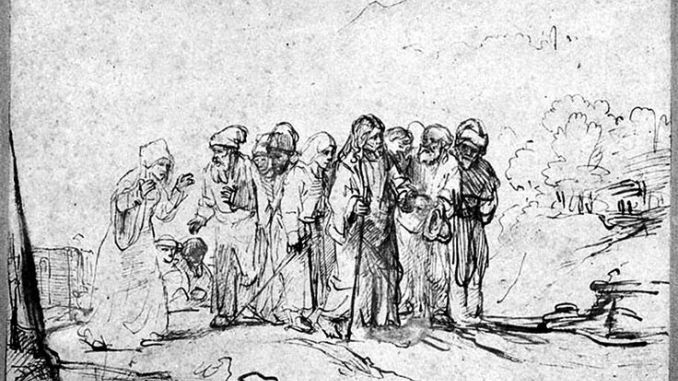 Several years later, Abraham was visited by three men and told Sarah would have a child. Sarah laughed, she seemed too old to have a child but in time she bore a son, Isaac. Meanwhile, her unhappiness with Hagar and Ishmael increased greatly and she asked Abraham to send them away. 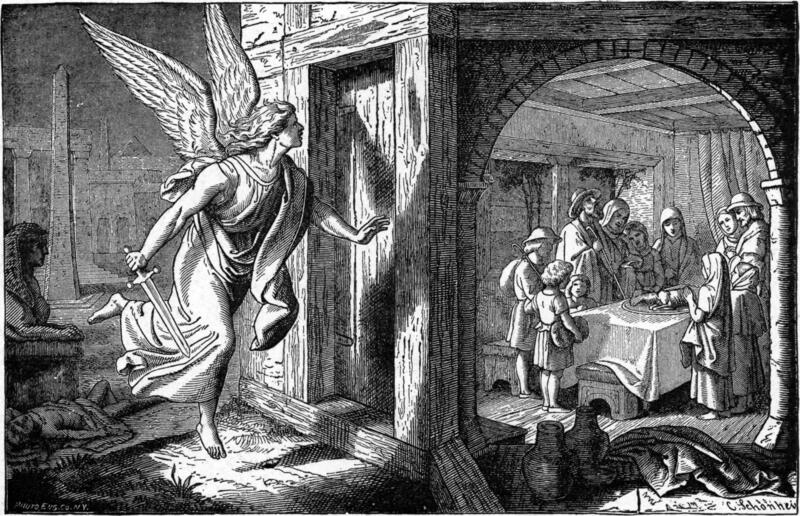 A typical painting of Hagar and Ishmael’s departure shows Abraham pointing as if to say, “Go.” Sarah remains in the background watching. 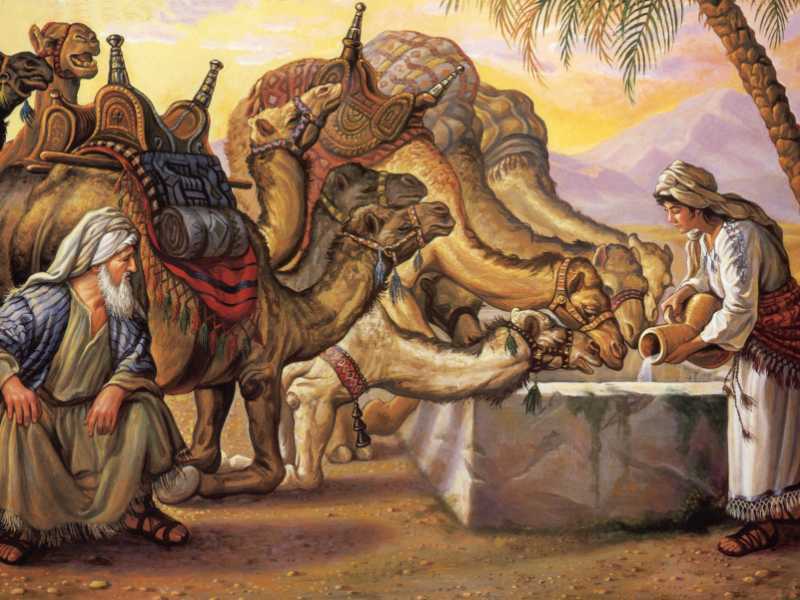 Other paintings depict Hagar and Ishmael in the desert when they were exhausted, without food or water, and near death. Often, the angel that rescued them is included. While still a youth, Jacques Lipchitz, left his native Lithuania to study in Paris. When he arrived in 1909, Pablo Picasso and Georges Braque were challenging the concept that a painting must depict a subject as we see it. They came to the conclusion that a painting was an object in itself and it was not required to be like a window through which we see a depiction of a still life or scene. 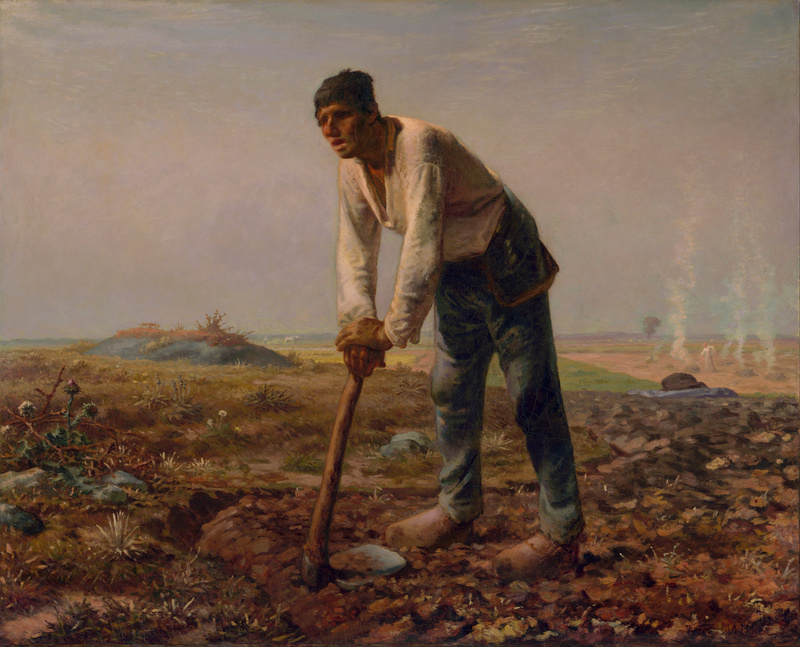 They believed art could refer to a subject – to be a composition about it – not just a depiction. It was realized our experiences provide much more information than can be offered in a painting with a single point of view. Instead of presenting a subject from only one vantage point, Picasso and Braque included sides of objects that were not in their line of sight, yet known to be there. In order to do this, they simplified the subject by focusing on its underlying geometric structure, selecting essential aspects of it, and then reconfiguring it into a composition. A critic dubbed this, Cubism. Three years after Lipchitz arrived in Paris, he met Picasso and began to explore form in sculpture from a cubist’s perspective. Paris became his home. When in 1941 it was apparent Hitler’s army was going to invade France, Lipchitz, a Jew, left France to live in New York. In America, his sculpture remained abstract but it was no longer in the cubist style. His work became curvilinear and expressionistic. Lipchitz’s Hagar in the Desert is a dramatic interaction of related shapes, not a literal depiction. The figure of Hagar with Ishmael’s head in her lap and the angel overhead are suggested but they do not follow anatomical proportions and are not arranged in physical order. The subject of this sculpture – Hagar, Ishmael, and the angel – was formed by Lipchitz as a study in solid masses and spatial relationships.